Clara Schumann-Cat is an elegant real cat in the Music for Little Mozarts series. She comes from a musical family where everyone plays the piano. Her great-grandmother was taught by Clara Schumann herself, and she was named after that famous pianist and composer. She helps Beethoven Bear and Mozart Mouse with their music studies. Larger size. 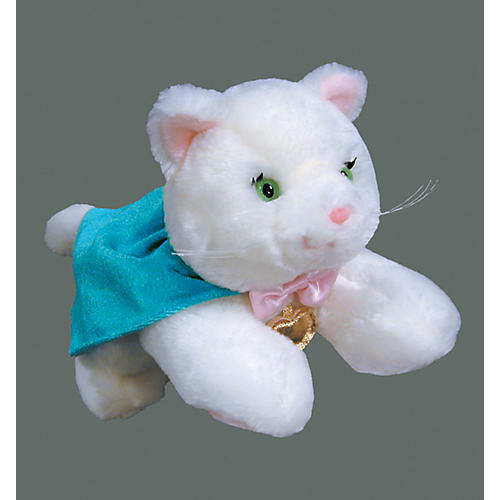 Clara-Schumann Cat is a replica of the character first introduced in Lesson Book 2. Suggestions are made in the Lesson Book for integrating the animals into the lesson.